Music software development includes some of the most sophisticated, expressive software out there. But it has long faced serious challenges in sales – audio software still appeals, generally, to a small slice of people, made smaller by factors ranging from piracy to the sheer complexity of available audio tools. As computing’s distribution model for software shifts, audio developers are undoubtedly watching. Love it or hate it, what’s unique about Apple’s App Store for iOS is that it’s a one-stop shop for everything. With App Store fever spreading – new stores for mobile and desktop are either available or planned from the likes of Apple, Intel, Microsoft, and Linux vendor Canonical – we’re likely to see a new kind of store model. On desktops, Android devices, and others, multiple stores will compete with one another in overlapping arenas. They’ll do it without lock-in, too – unlike on Apple’s stores for iOS, you’ll have a choice of where to get your software. Last week, of course, that list expanded to include Apple’s Mac App Store, coming to Snow Leopard and then the just-announced Lion. Music creation and pro audio apps may be a specific niche, but creators of everything from plug-ins to audio software are at least interested. Little wonder: desktop music making software has always faced an uphill climb, but recently, iPhone creations have become breakout hits. Just don’t get too excited yet. An early look at Apple’s guidelines for the store suggest restrictions will rule out a great deal of current Mac software, particularly audio software that relies on plug-in models. I’ve asked some independent developers to comment on what the store means to them, and take a look at some of those restrictions. Several developers responded to my questions. Now, a disclaimer: clearly, the Mac App Store is not aimed at creators of strange synthesizers and effects. Nor is it possible to represent the full gamut of developers making software for musicians. TUAW has a nice round-up of more typical Mac developers, who are, unsurprisingly, more upbeat. I likewise expect that anyone who now has some success on the iOS platform – vendors like IK Multimedia or Smule — will be optimistic about the Mac App Store. So, instead, consider this as a sampling of developers for whom the App Store may not actually change that much. I was, frankly, surprised to see plug-in creators and pro audio users assuming that the Mac App Store would be a natural marketplace for the software they care about. Early evidence is that it isn’t. But with app stores spreading across devices, the responses from developers provide some insight into longer-range challenges that transcend even Apple’s latest offering. Gallery: sample applications and stores. Could the Apple App Store be a viable option for creative music developers? I’d say it’s a viable option for entry-level and somewhat novelty apps, and as a launch-assistance platform for brand new developers (allowing unknowns with no established reputation to get started in the world of ecommerce). It’s not of great appeal to FXpansion – we’ve been around long enough that I’d hope commercial trust isn’t a massive barrier to people buying from our web-store – but as a get-yourself-started platform, it is not completely without merit. Of course, because these app stores are usually tied to a specific platform, for those developers who are on more than one platform, it does just add additional complexity, cost, and hassle. Admittedly it improves convenience for end users a certain amount (a good thing in my book), but the effort/overhead of getting out your credit card and typing in the number looks completely different for a $0.99 game you’re going to play for 20 minutes, compared to a $249 plug-in that you’ll spend hours/days just learning and (we hope) use several times a week for years to come. The guidelines preclude selling plug-ins, so that rules out the segment of the industry I’m most familiar with. This will probably change, but my general feeling is that people that make things like Numerology will be well served, but for the majority of our business, our needs are a bit too particular to really benefit from something as broadly-focused as the App Store. And there’s no real financial incentive on Apple’s part to cater specifically to us, because we’re such a small segment of the overall software market. As much as we like having our code base tested on as much compilers and platforms possible for correctness and efficiency, constant platform changes are quite boring, and usually dont spark any innovative ideas from us. Innovation not only is what drives us in the morning, but it’s also what users want, hopefully more than the typical will-it-run-on-my-toaster? kind. Also innovation is highly regarded by various tax break programs in many countries Also app stores make it impossible for us to do quick fixes, we could be committing code to Nintendo ROM carts that it couldn’t be different. So there is a need to raise QA and testing budget by a very significant amount, before release…. For standalone software, the kinds of things we’ve seen for iOS seem a likely candidate – particularly general-consumption audio “toys” (in the sense of stuff anyone can open up and use to make sound)? That was my my general thinking. I was pondering it at length last night, and the smaller single-use app seems more likely to benefit from it, assuming it is a parallel environment to the existing App Store, with the same sort of customers. The chief difference between this App Store and the iOS one is that this isn’t the only option for purchasing software for your Mac. It has to compete with other channels, which is an important distinction, especially if most of its offerings are simple “casual” apps. What about the app store landscape in general, as other players get into the business of doing their own stores? How does Apple fit in? The main issue is that the app store model just one piece of a bigger jigsaw and is tied in closely to the hardware, software frameworks and what this means to an independent developer and his/her ability to compete on a level playing field with established brands. App store success is just one part in a bigger picture. The other players need to get the various parts right and not just create an app store and think it will work. One flaw, though, in the Apple App Store is the charts. At the moment it is based on sales volume. Allowing people to view by highest user rating, etc., might help level things. Also, Apple can act as king maker with their ability to dish out the free advert slots on the device. It’s a new channel that will no doubt get a lot of coverage – a few developers with the right products and first mover advantage will make some fast bucks for sure. After that, I don’t know. I suspect phones (and consoles – myself, I spend way more on XBox Live Arcade than on the iPhone or Android stores) are a better and more natural platform for cheap, one-shot novelty apps than desktops/laptops, simply because of how & where they fit in to peoples’ lives, but I’m ready to be proven wrong on that. Are you concerned about Apple’s 30% cut of revenue? Not at all. The app store runs on volume; that is its main attraction from a commerce standpoint. The trick is to take advantage of that potential volume, and the way to do that is through lowest-common-denomenator (e.g. “I Am T-Pain”) products. it’s more economical to have a proper merchant account based shopping cart system (the hassle that entails costs a few hundred dollars a month in terms of overheads, paperwork, other bank-related BS, but it brings the average cost per transaction down to 3-5%). Also, at 10-15k a month turnover, your brand is probably well enough known that potential customers are likely to trust you somewhat as an online vendor. Having said that – the terms-and-conditions aspect of being in an app store, especially when the operator is particular, capricious, anally retentive or all three at once (naming no names), is far more toxic than the 30% cut. Losing a predictable amount of money per sale is one thing, but failing to sell a single copy of your app – after you’ve spent months and $thousands developing it – because the store owner rejected it for reasons outside of your control is quite another. 30% is ridiculous. What enrages me is that users seem to think it’s normal and much less than ‘retail’ .. wuht whut??? We have never done retail ever and been using Share-It (which costs us less than 10%) for 6 years. That’s the price of a payment processor. Sure, it doesn’t give you ‘visibility’ but what is that visibility on the 15th page of music software selection in a store? Can’t we just be as creative with our viral marketing, social network tricks as we are with the software itself? Bandwidth price on Amazon S3 is microscopic (10 cents a GB), so not an issue, even with 100-megabyte demo downloads. Share-it don’t care about the content, they never put their noses in our practices, suggest guidelines, or anything. People are just getting to enjoy their new-found freedom with independent online music and fair-trade and local grown foods, however. they will let the inverse happen to software? Will we see the movement to Fair-Trade software in 15 years? Do you think it’s a model that could work, from a business perspective? It’s a new channel, a few developers with the right products and first mover advantage will make some fast bucks. After that, I don’t know. How well versed are you on acoustic physics in relation to loudspeakers, impedance etc.? There are some interesting parallels here with app stores – basically they are a good platform for allowing very small developers to cast a very wide net. Those of us who have a more specialist, focused audience can probably build trust with our audience via more efficient, focused channel…. It appears that plug-ins are ruled out by several of the guidelines issued by Apple. Care to comment? I can’t see the app store concept working for plug-ins; it’s pretty much already there with the downloads page on the Apple site. If the app store is the only channel to purchase applications for a device that cracked software is not easily available for, then yes, it works. Otherwise, not so sure. We already have app stores for music software, like Don’t Crac[k], etc., with somewhat limited success. Also for complex niche software, it’s hard to beat the personal connections distributors have with stores and in turn with their customers. We find this especially true for Japan. Artist and developer Kassen Oud offered some compelling thoughts on Apple’s developer “guidelines” and rules via Facebook. To him, the restrictions on what goes in the store conflict with making software art. I think it’s a reasonable and challenging point to make – just as Apple has the right to conduct their store in the way you wish, developers and artists presumably have just as much right to opt out. To me, the big appeal to developing software for music is the chance to do something unique and individual. External limitations (like arbitrary moral guidelines or limits on the language to be used) conflict with that, to me. As the process used is important to me I need to be able to express myself about that publicly as well. This rules out Apple’s app store. With regard to code/ application distribution those are more important factors to me than the need to create applications for Apple’s app store on a Apple computer though that in and of itself would also be a prohibitive factor to me. I don’t mean to imply that software on Apple’s platform would inherently be less “unique” or “individual”; I certainly do not wish to take anything away from my friends whose creative process wasn’t (apparently) affected by these factors and who did create very interesting works released on it, taking nothing away from their FOSS work. 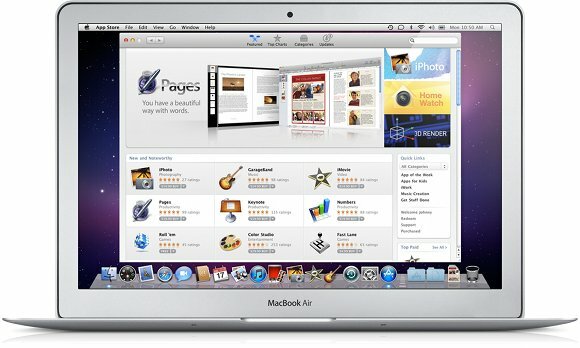 Apple’s draft review guidelines for the Mac App Store have been widely posted, including full text. Here are the excerpts most relevant to the above discussion. Plug-ins will almost certainly be rejected. Other guidelines are worth watching. Of course, some of the challenges of audio software are … unique. How many pro audio applications would meet the following guidelines? Comments from other developers are welcome. We’ll keep you posted.